I need a new logo for my membership site. I had one designed on Fiver years ago which has served me well but now needs updating and rejuvenating. 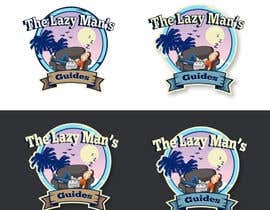 The site is centred on how I (the Lazy Man) can help people deal with lack of motivation, procrastination, getting fitter, losing weight etc - lifestyle improvements essentially - and become the person they want to be. I have attached a PDF of the current logo for information. As an added incentive, whoever is chosen will get the first crack at designing a cover for the first in a series of 5+ books I am in the process of writing. I expect the first to be completed by June/July this year. I need as a minimum a .jpeg and .png version of the winning design. To clarify, I'm looking for something different from the existing logo. Something new and exciting. Dear sir,have your any prefared color? ?